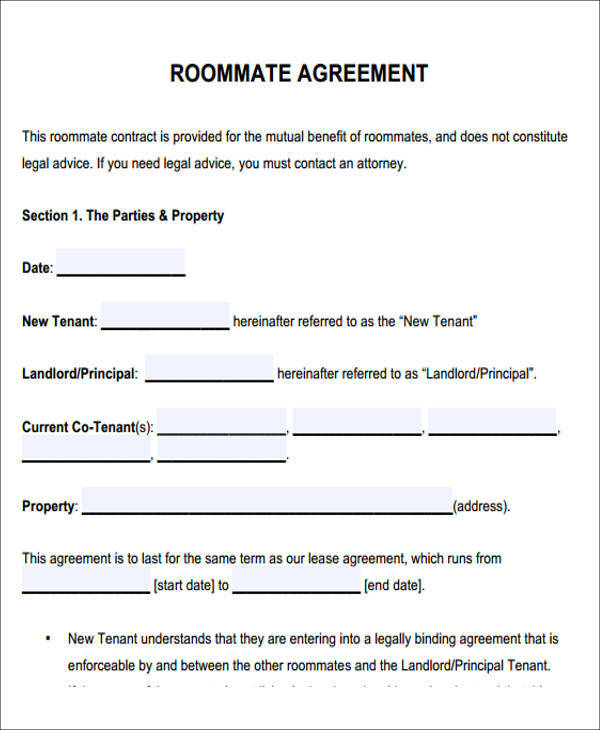 Renting a room with a roommate is probably the most common thing that is happening right now to young people, especially with young adults and college and university students. 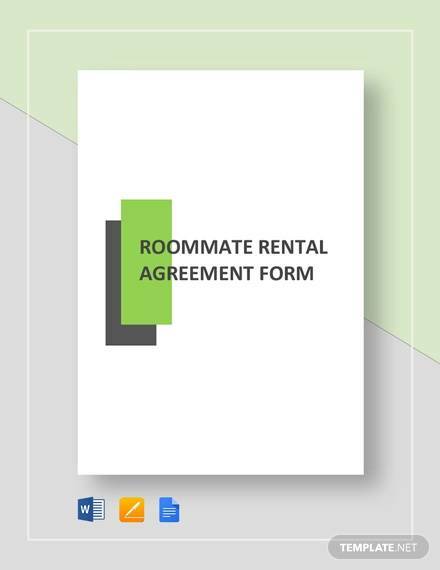 Renting with a roommate is most often than not considered to be much more efficient and practical compared to renting just by yourself in which you would end up shouldering all of the monthly rental expenses instead of splitting the rent when you have a roommate. Other than that, it is also preferable to choose your roommates wisely and make sure that you are comfortable with them. 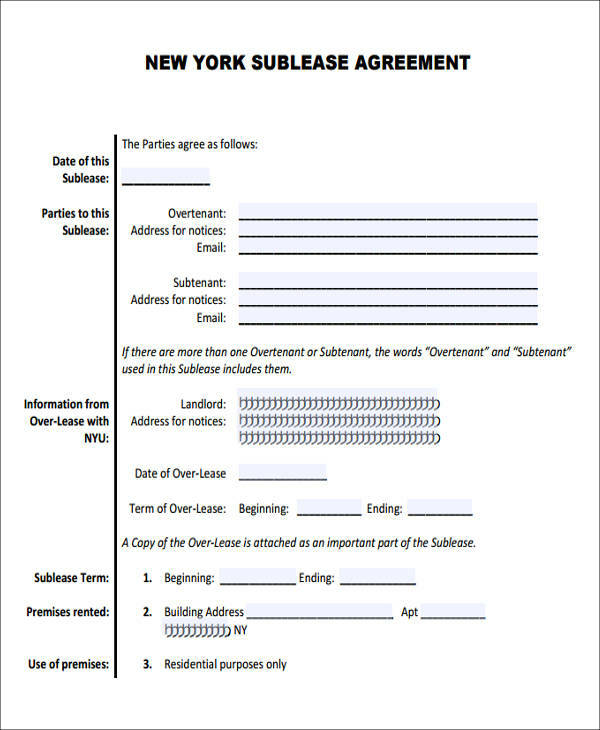 You can also refer to these Sample Agreements to gain more insights. 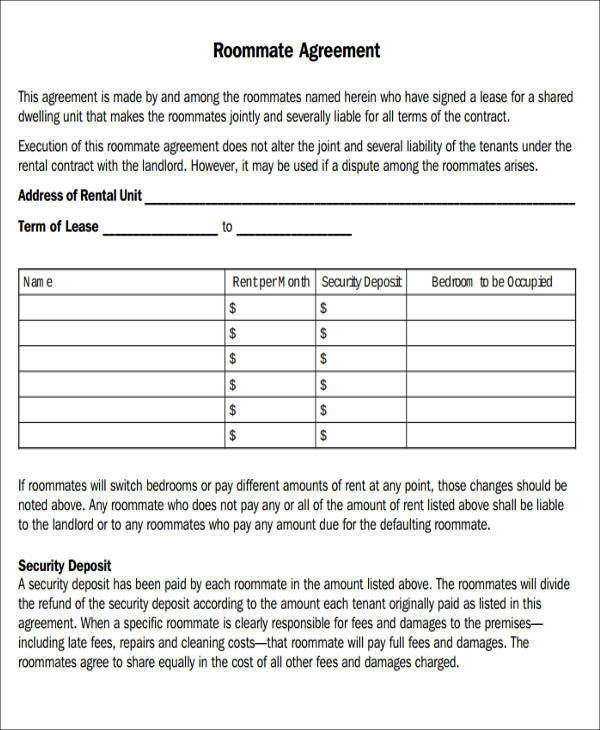 Other than just following any other Rental Agreement Form, you also need to keep in mind and make sure that you clearly stated and specified all of the terms and conditions that you have all planned out since roommate rental agreements are law-binding contracts, which will protect your rights and your needs as well as your roommate’s. Cleaning Duties – this should specifically state and indicate that both you and your roommate are primarily responsible in terms of maintenance the cleanliness of the rented room and having it sanitized. You can also opt to have division of house chores or given tasks, whichever both of you would find pleasant and favorable. 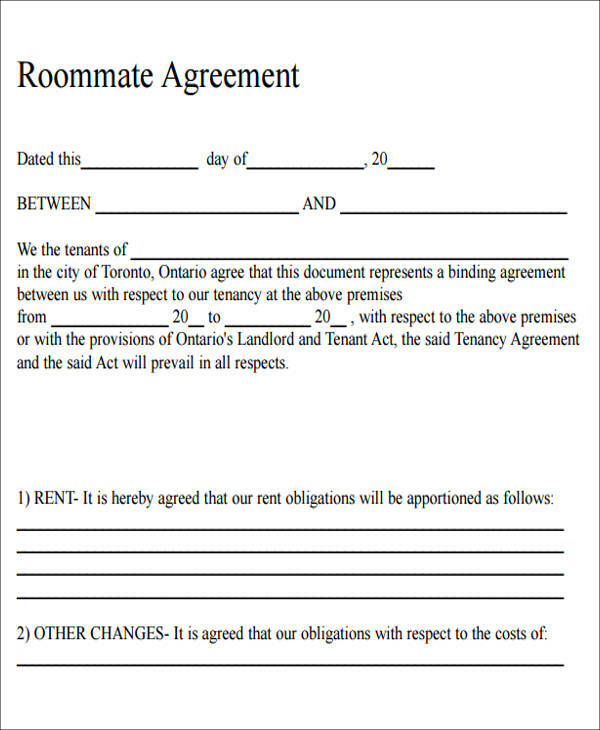 Late-Night Guests – this is how you and your roommate would figure something out on how to go about the given situation. Both of you will be able to exactly state and specify terms such as no late-night guests may stay or sleep longer than two nights without the other party’s permission out of respect for him or her. Both of you and your roommate can also opt to give advance notice for at least twenty-four hours if someone is coming over. Alcohol and Drug Use – this would simply state and indicate that neither party would involve and engage into the illegal use of alcohol or drugs or both alike inside the room property or near it. 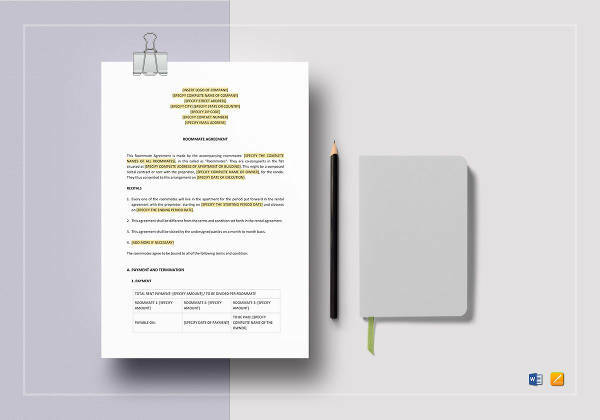 Conflict Resolution – this would specifically state that both parties shall maintain a harmonious and peaceful environment within the room property. If in any case that there will be disagreements and other conflicts or issues, both parties should mutually aim to resolve the said issue in good faith and clear communication. 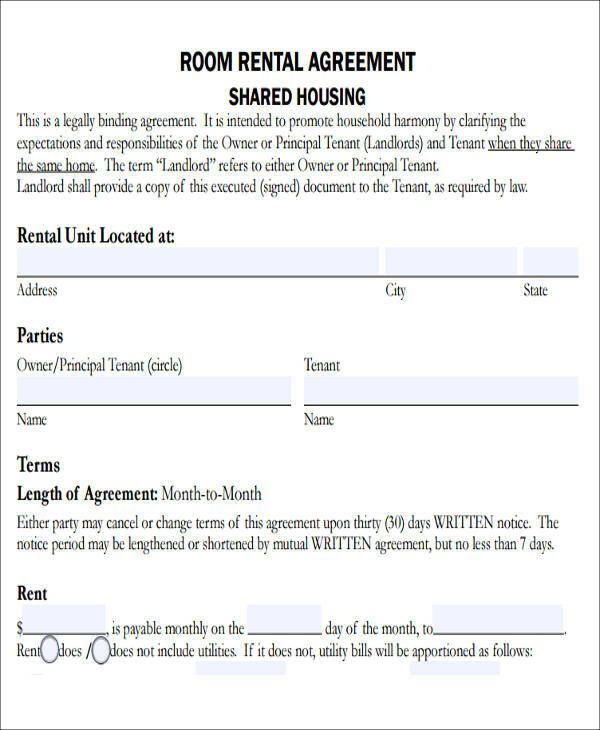 Living Arrangements – this part would state both of the party’s mutually agreed upon terms and conditions as to the usage of utilities and other things, such as sharing something like the use of kitchen utensils, the shared use of anything within the vicinity and scope of the room property, or as to which position the other party would like to have his or her bedroom designated, and the like. 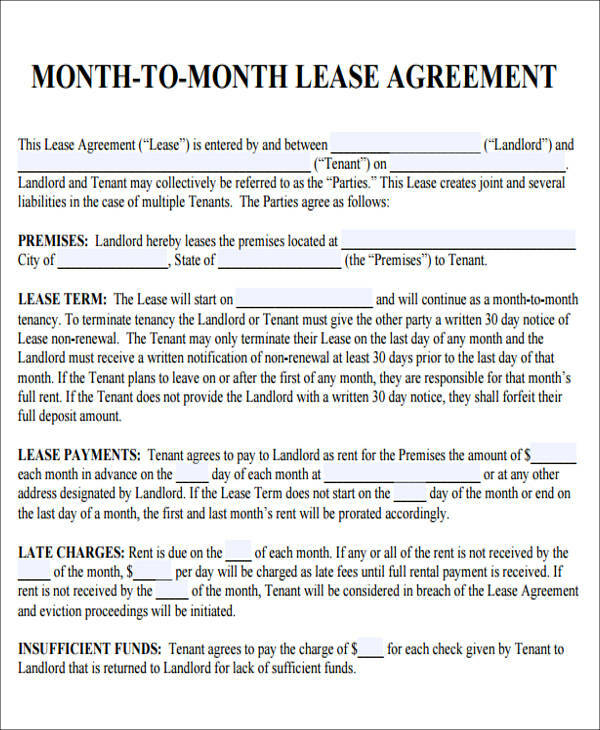 If you don’t want a roommate but have spare property or space you can rent out, you can also check out some examples of Generic Lease Agreements that you may find useful.